I NEED to share something with you. It’s something not enough people are honest about, and it’s something that just might help you. These past few years have been an absolute whirlwind. It seems like all those years of groundwork suddenly started to mean something – and I swear that happened because I peeled back all the learned BS and started to focus on being ME, being REAL and aiming for the future I wanted to create. For US. In a relatively short amount of time, I’ve been featured in HuffPost and Kindred Spirit Magazine, not to mention a number of newspapers, made the DIVA Magazine Power List, been named as a Source TV Evolutionary, been on BBC radio LOTS of times, been an invited TEDx speaker, been on TV, been on stage with the likes of Dr Andrea Pennington, Brad Burton, Craig Petty and Dilys Price, spoken at Europe’s biggest business show, Leicester Tigers’ Stadium, Aston Villa and the NEC, had two books published, another commissioned AND have publishers chasing me for more. 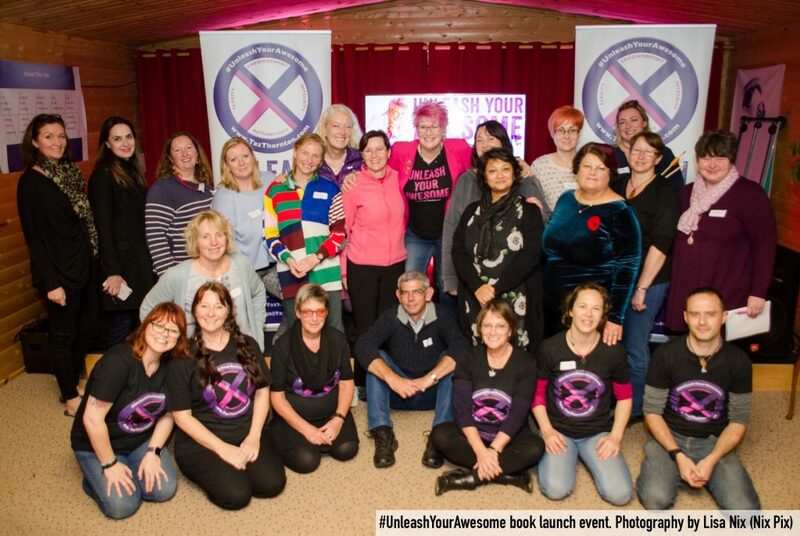 I’ve created my own #UnleashYourAwesome empowerment seminars, as well as visibility, content and speaker/live-streaming training for businesses, AND created the #BrandMastery programme. I’ve consulted on team-building, communication and cohesion for corporate groups and coached everyone from TV celebrities to business owners to coaches. I’ve been recognised in public, had people I’ve never met taking my picture in restaurants and been contacted countless times by people who say my work has changed – sometimes SAVED – their lives. Most recently, I’ve been invited to become a co-host of a new series on America Out Loud. Me. Taz, who grew up in a tiny Leicestershire village and currently lives in a three bedroom semi out in the sticks of rural England. Sometimes I feel like a total fraud. Sometimes I pinch myself and wonder when they’ll all find out I’m just me. I’m just the asthmatic kid who nobody wanted to pick for rounders. I’m just the girl who was ill too frequently as a child and ended up with poor GCSE results. I’m the teen who left the sixth form early to become a junior reporter at the local newspaper. I’m the young lady who broke her back trying to escape from life when it all felt too much. I’m the career woman who burned out and broke down. I’m the dreamer who wanted to make a difference. I *still* want to make a difference. Sometimes I wonder if I dream too much. Sometimes I wonder if I’m risking it all on a whim. Sometimes I wonder if I’m kidding myself. Sometimes I wonder if I’m being a bit too much like Derek ‘DelBoy’ Trotter and foolishly holding onto a “this time next year…” mentality. Sometimes I think I should just grow up and get a ‘proper’ job. Sometimes I think all this and more. Who am I to have such high hopes? Fear, anxiety, trepidation… sometimes I feel like a child in a grown-up world and wonder how on Earth I’ll ever make enough of a difference. And then I shake myself. I remember that these are precisely the reasons I need to carry on. I need to keep going. I need to believe, even when my belief is through the floor. ESPECIALLY at those times. And when I forget, I’m lucky to have an amazing wife who reminds me. I want you to know that we *all* have those days. Those weeks. Those months. Sometimes those years! No matter where we are in life, no matter how shiny things may look to the outside world, we all have doubts, we all have down days, we all have times when everything screams at us to just give up, that we’re not worth it, that our dreams are ridiculous. And that’s when we need to stand up, brush ourselves down, remember WHY we’re doing our thing and carry on. If you have something you believe in, something that motivates and drives you, get out there and do it. The only thing worse than looking back and feeling you didn’t achieve all you wanted to is looking back and knowing you didn’t try. Thank you. For reading so far, for supporting me, for being YOU! #UnleashYourAwesome – it’s there, deep inside you… you just need to find it and allow it to flourish.